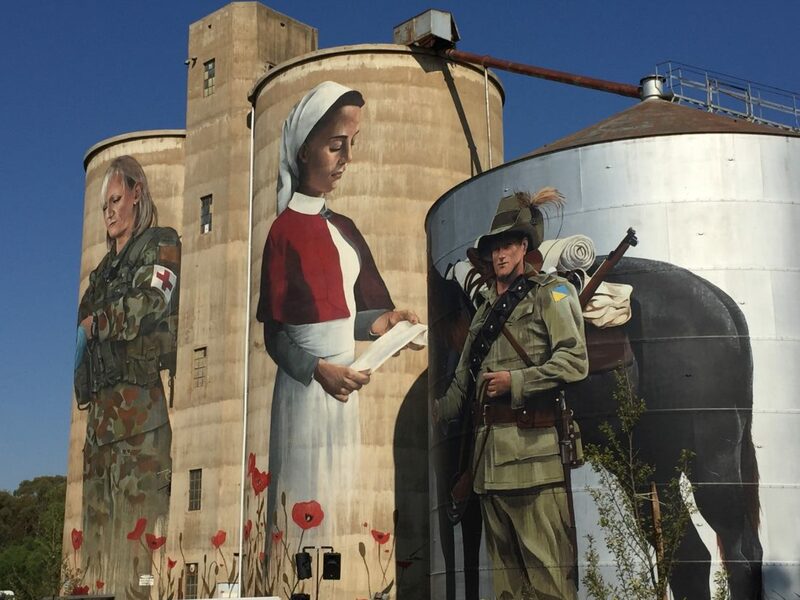 The Devenish Silos artwork was unveiled on Anzac Day Eve 2018 and coincides with the 100 year centenary of the end of the First World War. The artwork is of both a First World War nurse and a modern day combat medic. Fifty young men and women from the Devenish community enlisted in military service for the First World War. April 2019 has seen the third silo installation completed with recognition to the Lighthorse men. The Silo’s were completed by artist Cam Scale. While you are in Devenish, visit the Agricultural Museum, General Store and the Devenish Hotel. Contact the Benalla Visitor Information Centre for opening hours.